WASHINGTON Even Mark Zuckerberg's family can get tripped up by Facebook's privacy settings. A picture that Zuckerberg's sister posted on her personal Facebook profile was seen by a marketing director, who then posted the picture to Twitter and her more than 40,000 followers Wednesday. That didn't sit well with Zuckerberg's sister, Randi, who tweeted at Callie Schweitzer that the picture was meant for friends only and that posting the private picture on Twitter was "way uncool." Schweitzer replied by saying the picture popped up on her Facebook news feed. The picture shows four people standing around a kitchen staring at their phones with their mouths open while Mark Zuckerberg is in the background. Randi Zuckerberg, who used to run Facebook's marketing department and now produces a reality television show, eventually said Schweitzer was able to see the picture because they had a mutual friend. Those tweets have since been taken down. Schweitzer declined to comment when reached by The Associated Press. Randi Zuckerberg didn't reply to a message via Twitter seeking comment. 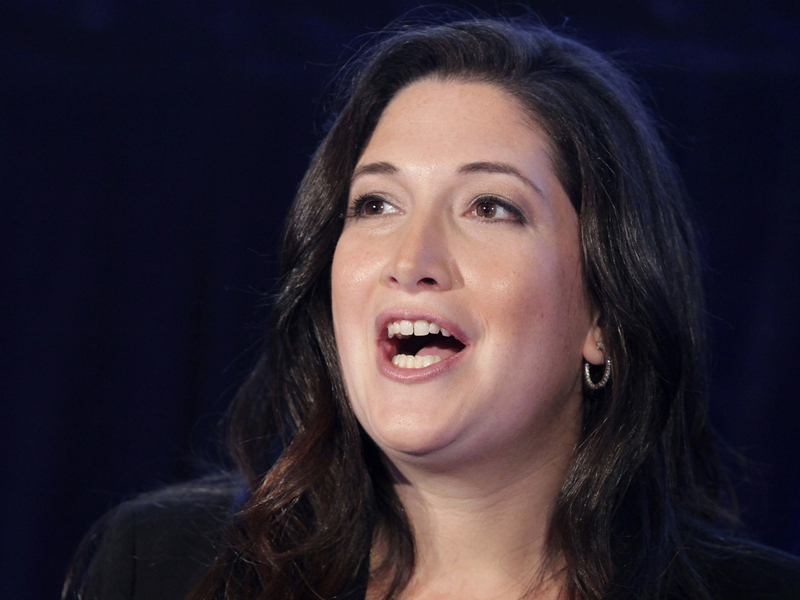 Randi Zuckerberg used the dustup to write about online sharing etiquette. "Digital etiquette: always ask permission before posting a friend's photo publicly. It's not about privacy settings, it's about human decency," she posted on Twitter. But Randi Zuckerberg's comments sparked sharp reactions from people who thought the issue wasn't about etiquette, but rather Facebook's often changing and often confusing privacy settings. "The thing that bugged me about Randi Zuckerberg's response is that she used her name as a bludgeoning device. Not everyone has that. She used her position to get it taken it down," said Eva Galperin of the Electronic Frontier Foundation, a privacy advocacy group in San Francisco. While Facebook has made improvements in explaining the social network's privacy settings, Galperin said they remain confusing to most people. She added that with people using Facebook as part of their everyday lives, the consequences of fumbling privacy settings can become serious. "Even Randi Zuckerberg can get it wrong. That's an illustration of how confusing they can be," she said. The Menlo Park, Calif., company recently announced it is changing its privacy settings with the aim of making it easier for users to navigate them. The fine-tuning will include several revisions that will start rolling out to Facebook's more than 1 billion users during the next few weeks and continue into early next year. The most visible change -- and perhaps the most appreciated -- will be a new "privacy shortcuts" section that appears as a tiny lock at the top right of people's news feeds. This feature offers a drop-down box where users can get answers to common questions such as "Who can see my stuff?" But Galperin said Wednesday's incident also illustrates a general concern about Internet privacy. Essentially, she said, if you share information or a photo with your social network, people in your network have the ability to share that with whomever else they choose. The mobile photo-sharing service Instagram, which is owned by Facebook Inc., had to answer to backlash to privacy concerns recently when new terms of service suggested user photos could be used in advertisements. The company later said it would remove the questionable language.